Jonathan Jacobs is a relocation attorney Orlando that litigates cases involving a parent’s relocation with a minor child. 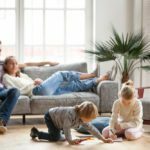 Any legal action over a relocation with a minor children can involve a great deal of testimony from the parties and their witnesses. It is important for you to know what relocation means under Florida law. Reading hypothetical examples can help clarify. A parent must have a court order or the consent of the other parent, or else you may not move more than 50 miles away from your current principal residence. Call the Jacobs Law Firm to speak with an Orlando Relocation Attorney today. 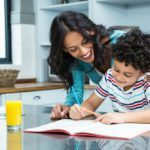 There are many different reasons why a parent would choose to pursue a relocation with a minor child. For example, there may be a tremendous job opportunity more than 50 miles away from his/her primary residence. Maybe one parent has become involved in a healthy and happy relationship and wants to move to be with that person. Jonathan Jacobs is a relocation attorney Orlando that provides the help you need when you go to court to litigate your relocation with a minor child family law case. Call us at (407) 310-5636 to help with your relocation case. 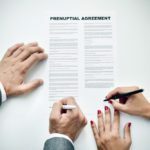 This means that the beginning of an action for time-sharing modification essentially sets in stone the addresses of the parties and prevents one parent from moving more than 50 miles from their primary residence unless authorized to do so. This Statute prevents one parent from unilaterally moving with a minor child and not informing the other parent. When that occurs, immediate legal action may be necessary such as an emergency pick up order, or a motion for contempt and enforcement. The Relocation Statute further provides that for a relocation with a minor child to occur, “The change of location must be at least 50 miles from that residence, and for at least 60 consecutive days not including a temporary absence from the principal residence for purposes of vacation, education, or the provision of health care for the child.” As an experienced relocation attorney Orlando, it may make sense to you that a 30-60-day vacation around the world will likely not violate the Statute, but it could cause some controversy. It is advisable to communicate your itinerary well-ahead of any trip to conform to your parenting plan or any standing order within the county that has jurisdiction over your case. 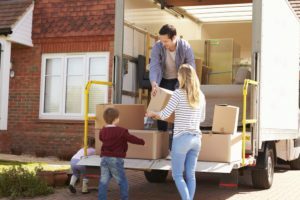 In evaluating a petition for relocation, the court will look at the statutory factors altogether, or in totality. Each statutory factor may be evaluated, and the assessment of all factors combined (provided that evidence of all factors is brought forth in court) will allow the court to render a judgment on the petition. A parent may relocate in a divorce or a paternity action. Relocation means that your case is not an uncontested divorce. 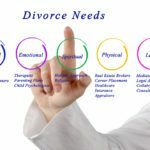 Jonathan Jacobs of the Jacobs Law Firm Orlando, offices Clermont and Winter Park, is a Relocation Attorney Orlando that will fight for your rights when you litigate a relocation with a minor child family law case. Call us today at (407) 310-5636 or e-mail us at Jonathan@JJLawFL.com for more information.